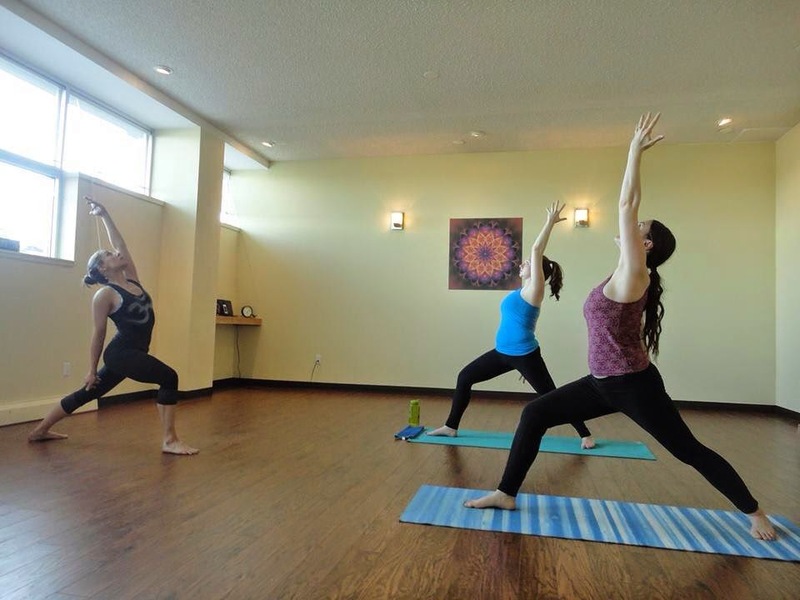 Teaching a type of Moon Salutation at Namaste North Studio, Anchorage, Alaska. It is likely you have heard of Sun Salutations, Surya Namaskar, in the context of yoga practice. Chandra Namaskar, Moon Salutation, is similar in that it is also a vinyasa flow sequencing poses and movement with breath, in order to achieve a specific physiological goal. The point of a salutation flow is to lengthen large muscles, align the skeleton, and especially stretch between all the vertebra to increase blood flow locally, and oxygen uptake and exchange for waste products in the circulatory system. Moon Salutation is so named because the curved-spine postures along with deep lunges intend to depict the phases of the moon. In addition, the energetic quality of cooling and calming the body/mind (we'll say relaxing the nervous system) is associated with the cooler nighttime light of the moon.